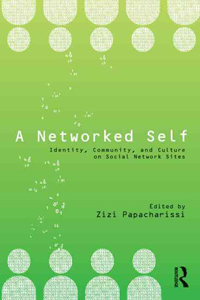 A Networked Self examines self presentation and social connection in the digital age. This collection brings together new theory and research on online social networks by leading scholars from a variety of disciplines. Topics addressed include self presentation, behavioral norms, patterns and routines, social impact, privacy, class/ gender/ race divides, taste cultures online, uses of social networking sites within organizations, activism, civic engagement, and political impact. Neural #39: Multiplied Identities: interviews: . ZTOHOVEN . Matthias Fritsch . Lynn Hershman . Evan Baden . Paul Vanouse :: articles: . 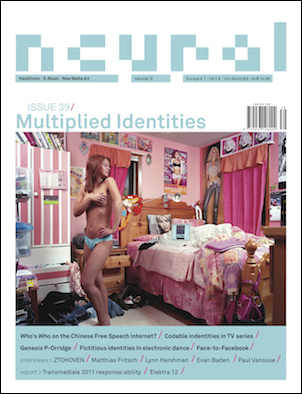 Who’s Who on the Chinese Free Speech Internet? . Codable identities in TV series . Genesis P-Orridge . Fictitious Identities in electronic dance . Face to Facebook :: reports: . 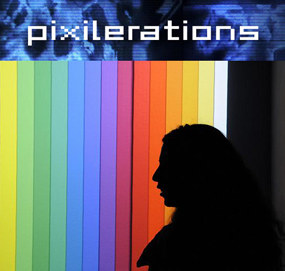 Transmediale 2011 . Elektra 12. 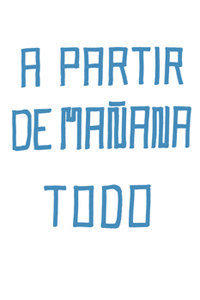 .news: Newstweek, Highscreen, FoodMatch, Simulen, Boskoi, Soplarte, Disc.o, Quintetto, Lotto Beats, Show Me How [not] To Fight, Sea and Spar between, Untiled Faces, Link, “Jeff Koons must die!! !”, Particles. [Image via] Webinar: Interacting with a Digital ‘Person’: what impact(s) and implication(s) for identity? :: June 20, 2011; 12:15 pm – 1:45 pm (GMT +2) :: Streamed live here. 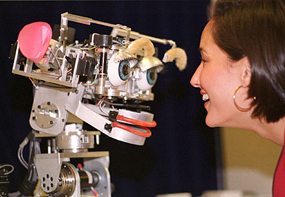 The audience will have the opportunity to ask questions, interact with the speakers and share their own experiences. 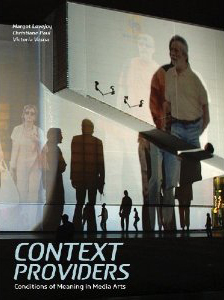 Context Providers: Conditions of Meaning in Media Arts; Margot Lovejoy, Christiane Paul, Victoria Vesna (eds), University of Chicago Press. 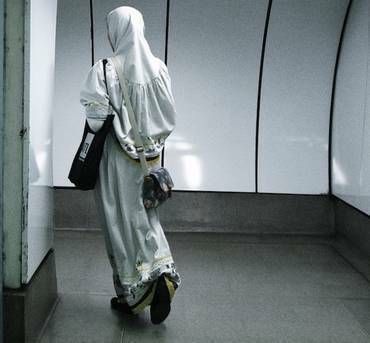 Cornerhouse presents New Cartographies: Algeria-France-UK :: April 8 – June 5, 2011 :: Preview: April 7; 6:00 – 9:00 pm :: Cornerhouse, 70 Oxford Street, Manchester M1 5NH, UK. 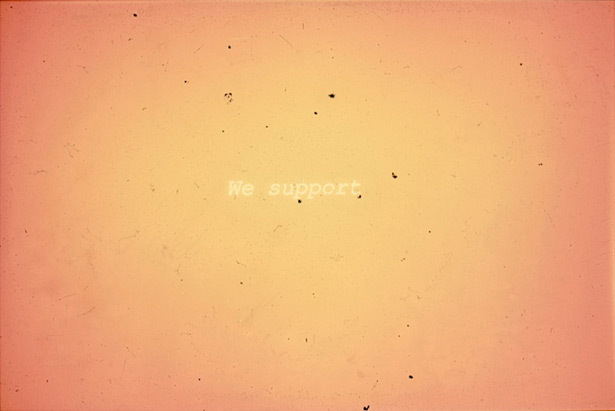 [Image: Runo Lagomarsino, “We support,” 2007-2011. Slide projection installation, dimensions variable] Stories, in Between with Loulou Cherinet, Patricia Esquivias, Brendan Fernandes, Tamar Guimarães, Will Kwan, Runo Lagomarsino, and Maya Økland; Guest curated by Aileen Burns and Johan Lundh :: January 22 – March 6, 2011 :: Opening: January 21; 6:00 pm :: Stiftelsen 3,14, Vågsallmenningen 12, 5014 Bergen, Norway. 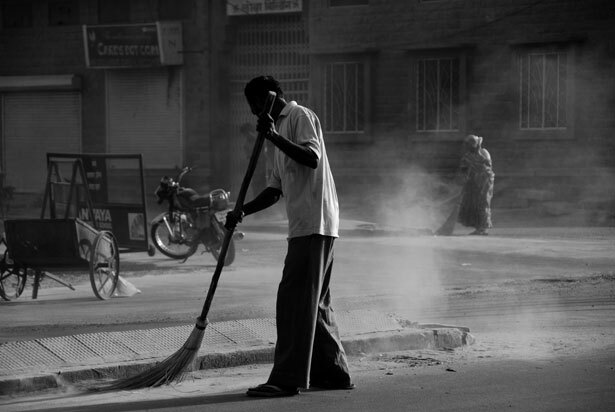 [Image: Navroze Contractor, “Street sweeper in Jodhpur,” 2009. Photograph, dimensions variable] Raising Dust: Encounters in Relational Geography :: December 8, 2010 – February 20, 2011 :: Calvert 22, 22 Calvert Avenue, London E2 7JP. Curated by Richard Appignanesi, writer, theorist and editor Raising Dust is a provocative multimedia exhibition which explores contemporary notions of identity and relativity by inviting a group of predominantly Eastern European artists to respond to the poetry and politics of place.